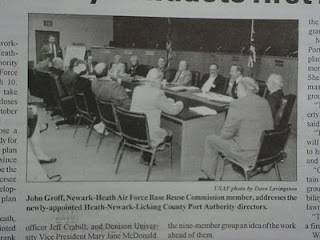 It was March 10, 1995 when the first meeting of what became the Heath-Newark-Licking County Port Authority took place. Read the article from The Advocate the next day and you get a flavor for the work that began on that date. 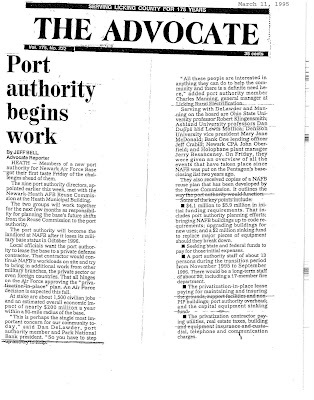 Of all the things anticipated that stand out in the 15-year-old article, the projection that the Port Authority would require 50 employees is most telling. One projection even showed 70 people. Today, the Port Authority employs just seven people.